There is a reason Google is trading over $1,000 a share and closed platforms such as Facebook & Twitter are at $55. 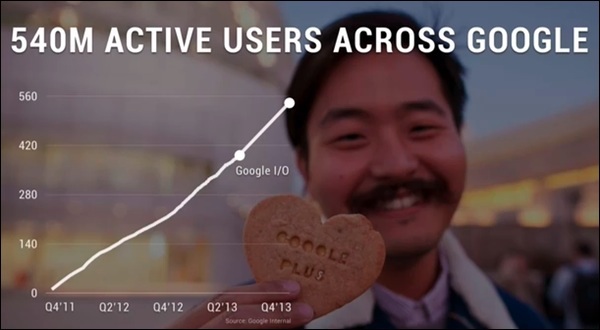 Google owns 66% of search marketshare in the US, the #1 online video site with YouTube and Google claims 540 million monthly active Google+ users and 300 million monthly active “in-stream” users. Now Google is looking to change the game when it comes to paid amplification and content discovery by extending social content through their entire network with +Posts. Content discovery, distribution and streamlining the user experience across the the Google ecosystem appear to be the future and the future is now. Recently Google deployed single sign on across the ecosytem, rolled out new content discovery options within Google+, refined the TruView suite of paid tools via YouTube and further integrated main properties such as Google+ comments embedded within Youtube. I recently published what I call Google+ Circle Impact Theory outlining the intersection of social & search. 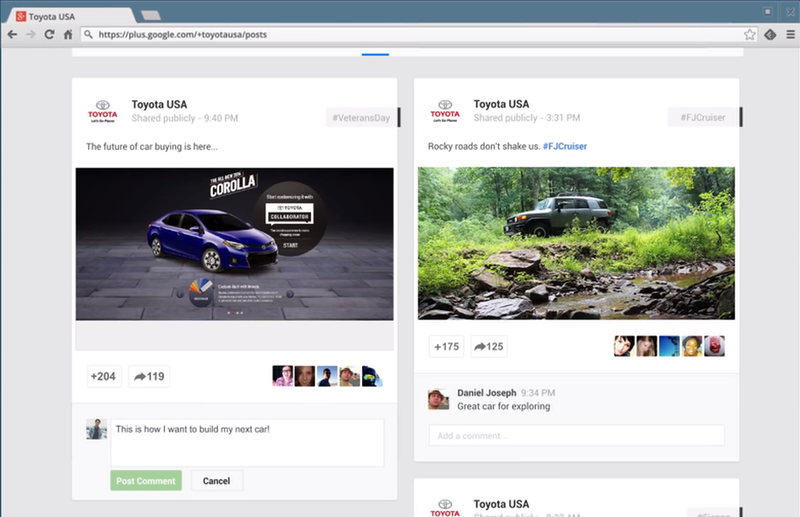 Google+ represents the intersection of search & social via contextual search driven by engagement. The launch of +posts is a significant addition that truly leverages the breadth of the Google ecosystem vs. simply driving discovery of content within Google+. 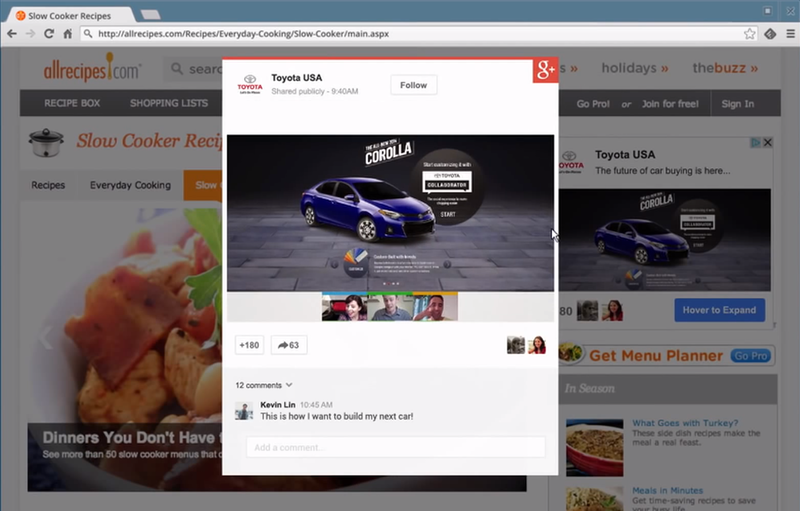 The +Post is built to support content discovery. 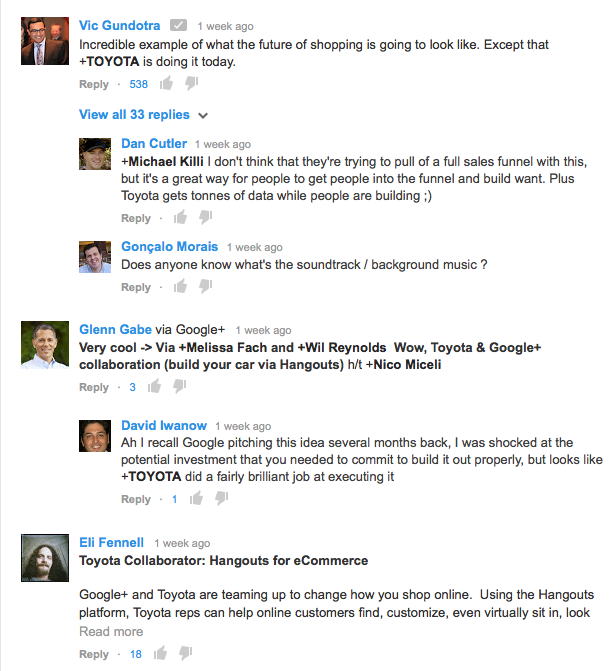 Taking organic content from a brands Google+ page and allowing distribution through Google’s Display network. The key difference is the “open” approach to boosting the content through Google’s Display network and replacing a traditional banner with a piece of relevant social content that can create conversation within the unit itself. 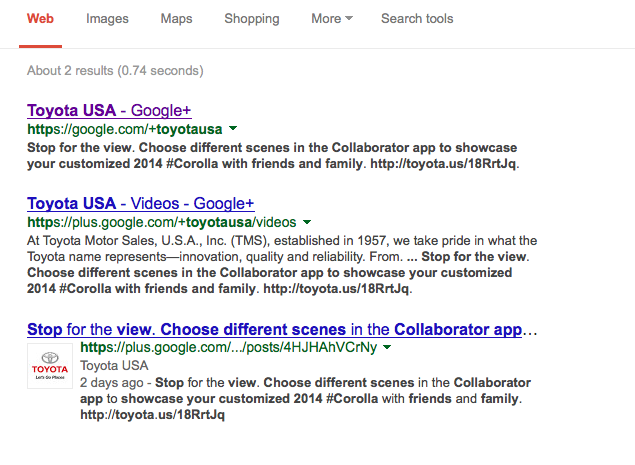 Here is an example taking from Toyota USA’s Google+ brand post. 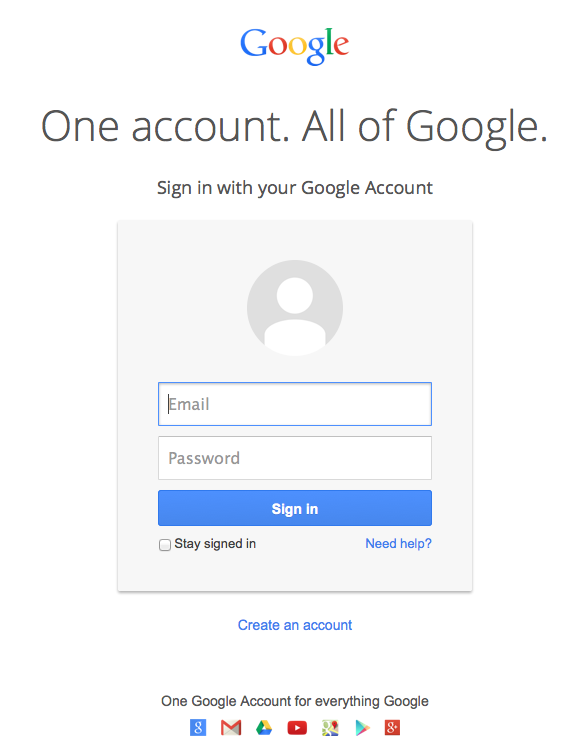 The brand post is published via Google+ and aligned contextually with individuals through Google’s display network. The +Post is extensible through Google’s display network combining Native & Traditional elements. The boosted posts can create more points of engagement and expand the reach to look-a-like individuals further boosting post level engagement. Once expanded the +Post opens via a lightbox and allows the user to +1, share and comment to that single piece of content directly from the unit. 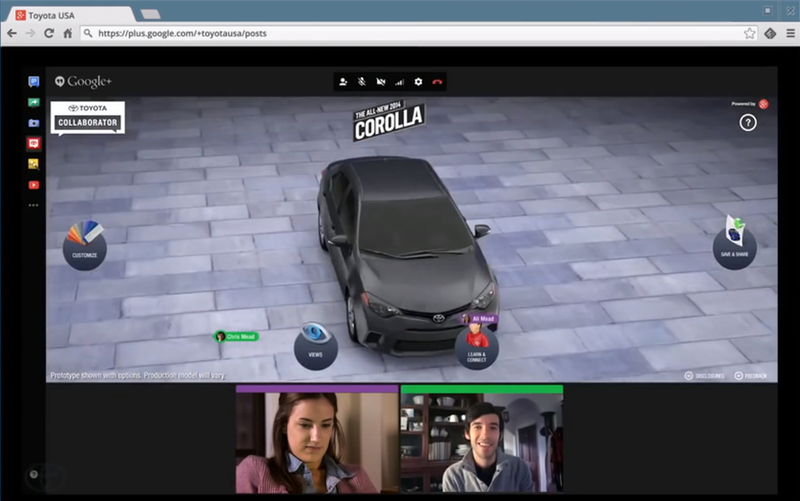 Then the CTA will direct the user to whatever the specific action is to engage with the content. From a Circle Impact Perspective, the higher the post level engagement, the higher the probability that content will rank in SERP even for those not following the brand via Google+. From a pricing perspective, charges for brands boosting +posts is only incurred when a user hovers over the ad for two seconds. This approach is a major shift from Facebook & Twitter’s closed native platform approach of boosting posts within the confines of their networks. Google’s approach increases the likelihood of content discovery and potentially extends the shelf life of content. Further driving value as the organic reach of some of the closed platforms continues to decrease for brands. This is an important launch for brands and marketers focused on shopper marketing as delivering the right message at the right time is key to driving a shopper to action. 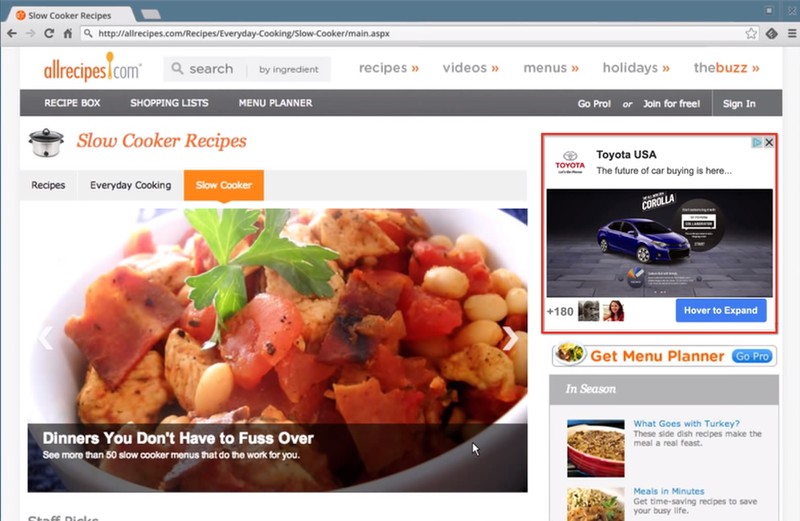 The ability to create a content centric shopper strategy that can be targeted and deployed next to key publishing properties where users can create conversations directly is very appealing. A final thought is that Google’s display network offers multiple tools for contextual & affinity segmentation across multiple screens. This means that not only are they enabling the syndication of social content but also offering the robust targeting capabilities of Google’s ad tools. +Post ads are currently in beta but you can sign up here.